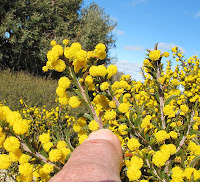 Acacia along with the other legumes (pea flowers, senna, etc) have now been placed in the Fabaceae family, but have previously been included in the Mimosaceae or Leguminosae families, depending on the classification system being used. So Fabaceae now represents a family of many hundreds if not thousands of species. 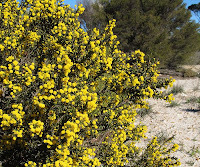 Acacia curvata is an unusual looking species, with rigid strongly recurved phyllodes that are over 2 cm (1”) in length and very sharply pointed, making it visually interesting even when not in flower. 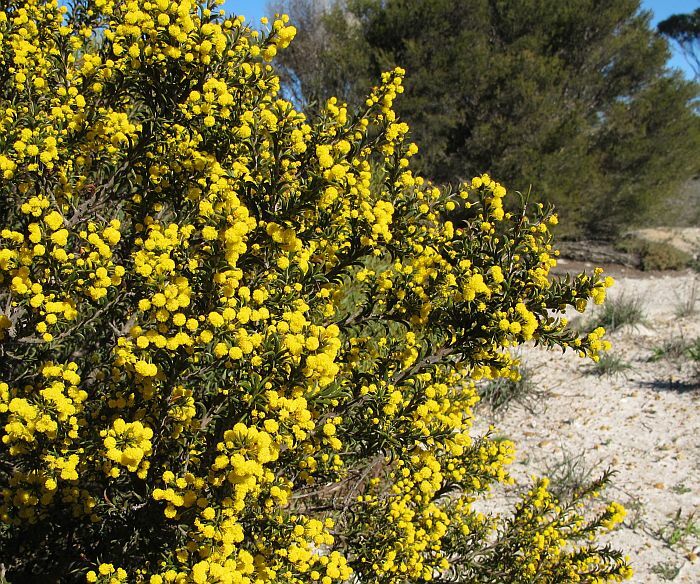 However when in bloom it is covered in bright yellow flowers, and with its compact shape, makes a very eye-catching shrub. 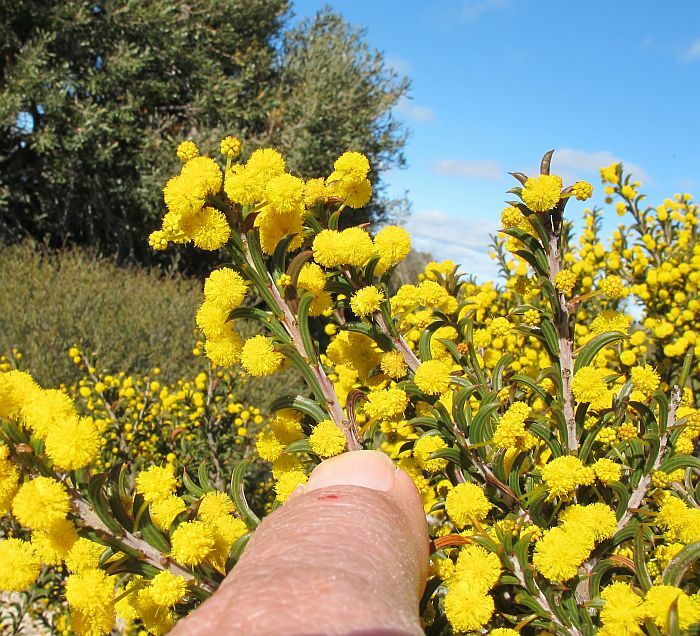 Growing to around 1.5 metres (5’) in height, it is mainly found a little inland on heavy loams over gravel between Esperance and Ravensthorpe. 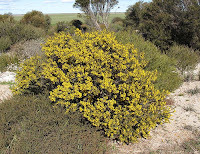 Acacia curvata rarely occurs in large colonies, but as scattered individuals or small-extended colonies, although farming activities would certainly have curtailed its distribution. 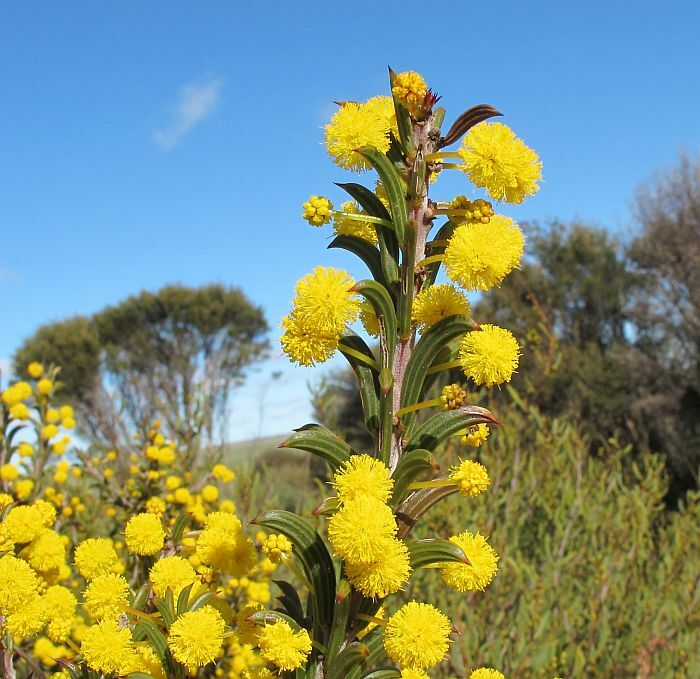 Flowering is from May to August, with July/August usually the most prolific.